Below are two responses to the subject message that add to the discussion. I purposely did not highlight one obvious Rep that did not vote the right way yesterday - congrats to the few who noticed & commented that Paul Ryan was not on the list of Members who voted against the phony FY 2011 Budget Bill. Ryan is now the lead sponsor of the FY 2012 Republican Budget. 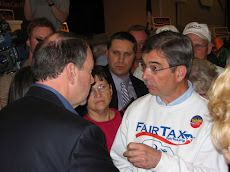 Yesterday Senator Coburn reported on Greta's FOX hour that the IMF stated its displeasure with the 2011 budget deal. No surprise. The main surprise is that our congressmen are putting their careers over our nation's economic health. If the Fed ends QE2 this summer and our debt continues to grow 4 to 5 billion per day, interest rates will spike and the dollar may collapse. How short sighted our Congress people are. We need term limits ASAP. 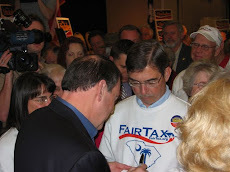 Doug - Question for you.... Will you be doing a piece on your blog re: What does it mean to be a FairTax co-sponsor other than signing up for a congressional bill?